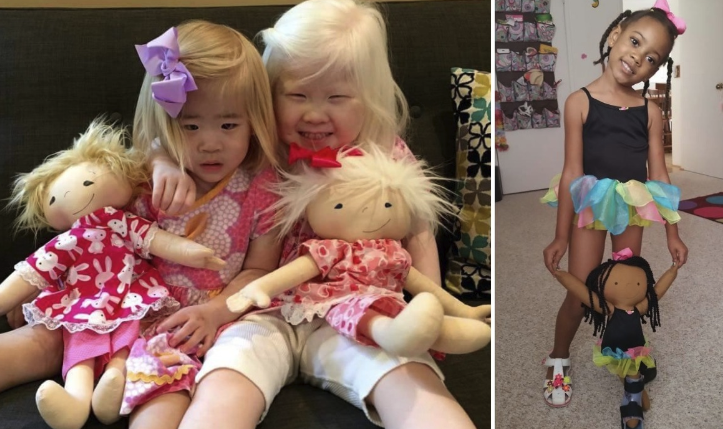 These days, children's toys and dolls are more inclusive than ever. Gone are the days when Barbie was just a tall blonde obsessed with shopping, in are the days where Barbie is boxing champion Nicola Adams and championing for marriage equality. But one area where most toys still lag behind is in representing people with disabilities. 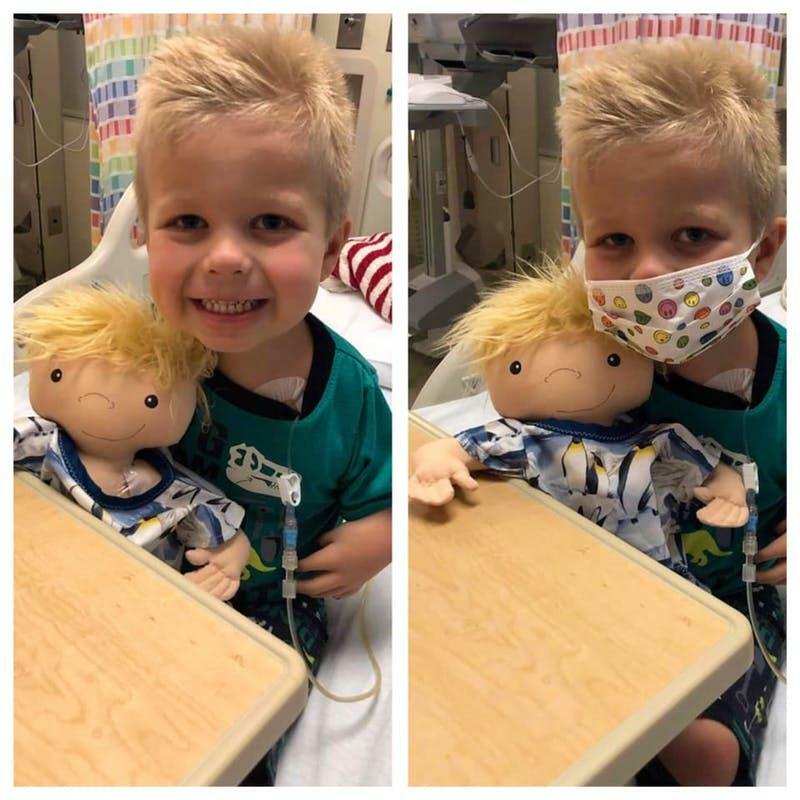 Amy Jandrisevits, a former social worker in a pediatric oncology unit, knows how much dolls mean to kids battling illness. 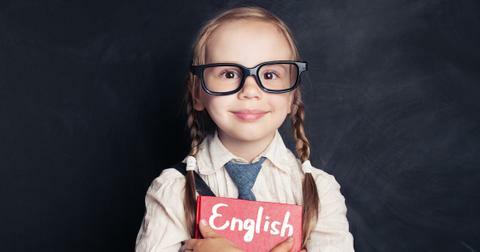 "In my time working with the kids," she writes. "I used dolls in play therapy to help the children express themselves. Dolls are therapeutic in so many ways — ways that I'm not sure we fully understand. It is a human likeness and by extension, a representation of the child who loves it." 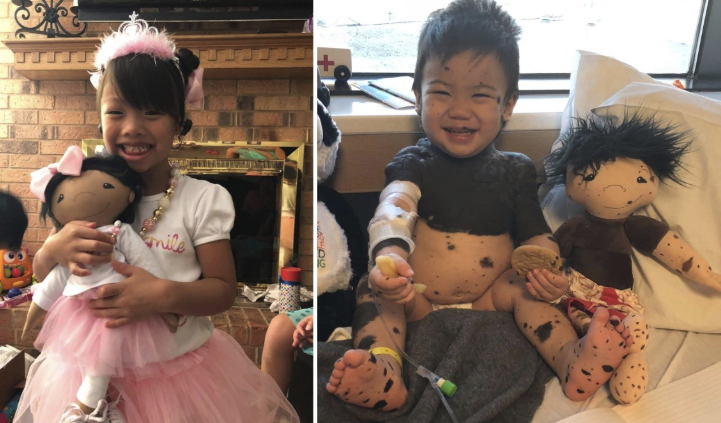 She quickly realized the dolls didn't look much like her patients: "One day I realized that the dolls’ thick hair and perfect health were doing the kids I was working with a disservice as they were often faced with a wide variety of physical challenges. Many kids have never have had the opportunity to see their sweet faces reflected in a doll. It's hard to tell a child that they are beautiful but follow it with — but you'll never see yourself in anything that looks like you." 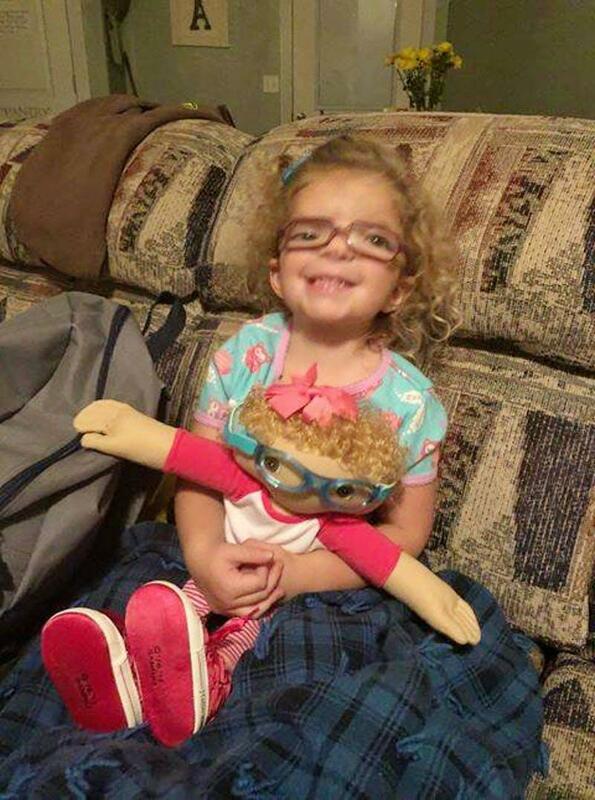 About four years ago, Amy started making non-traditional Raggedy Ann dolls for the kids in her pediatric unit. 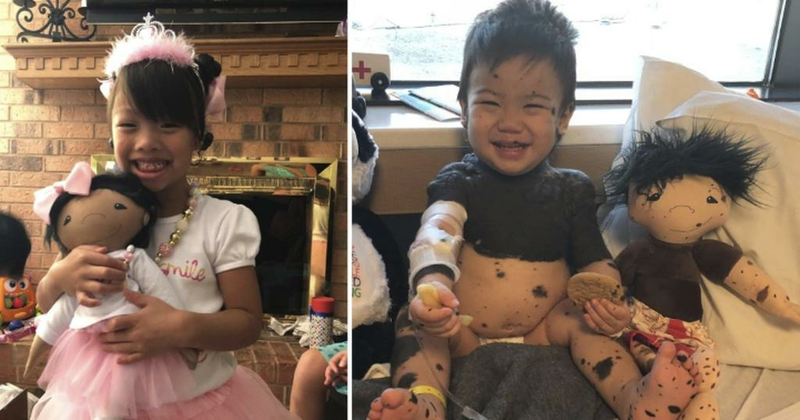 "My favorite was a Raggedy Ann for a little girl who was transitioning — green cropped hair and a Ninja Turtle outfit," she writes. 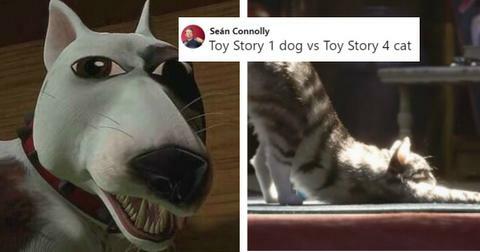 A friend of a friend saw the doll and shared a photo. And that's when Amy got her first request. 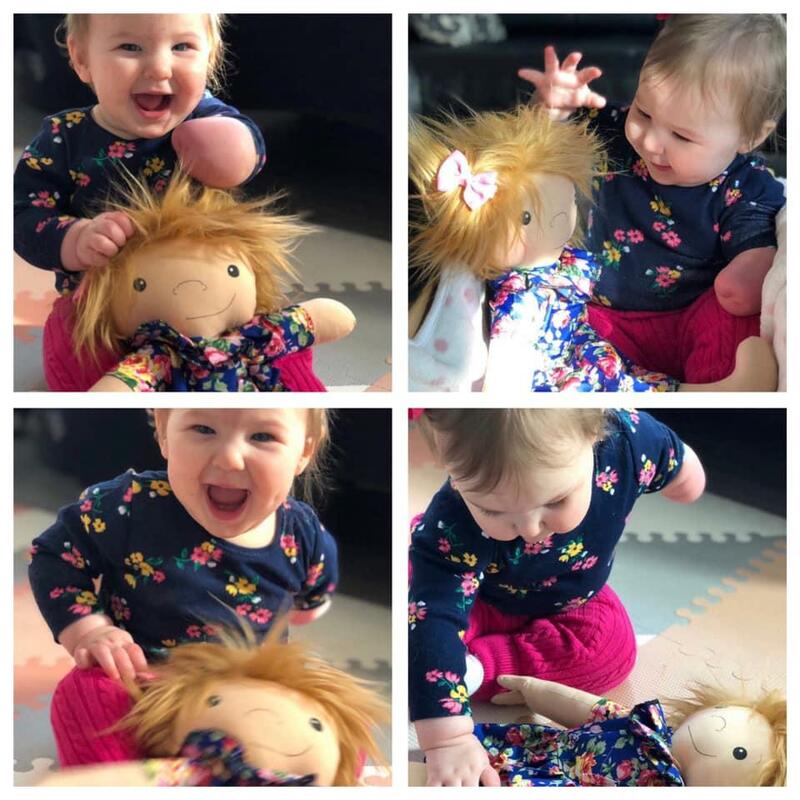 "A woman whose daughter had just had a leg amputated reached out and asked if I could make a doll for her." 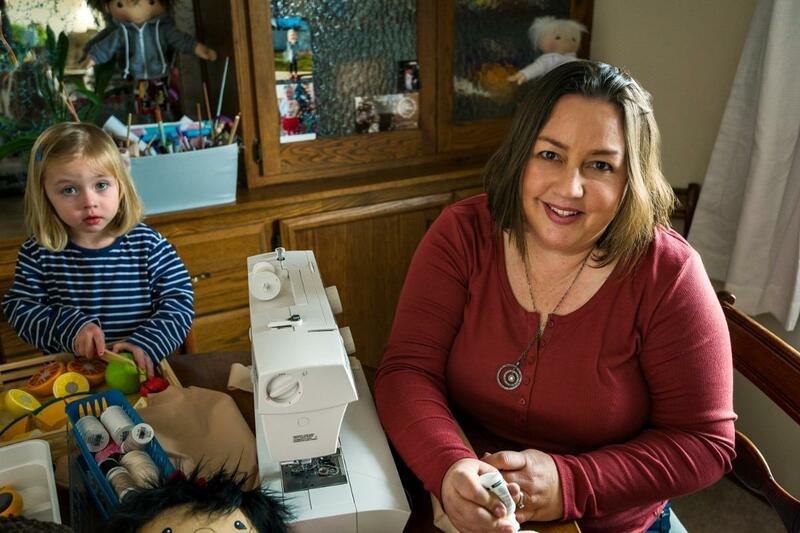 Since then, Amy has made over 300 dolls and has a long waiting list. 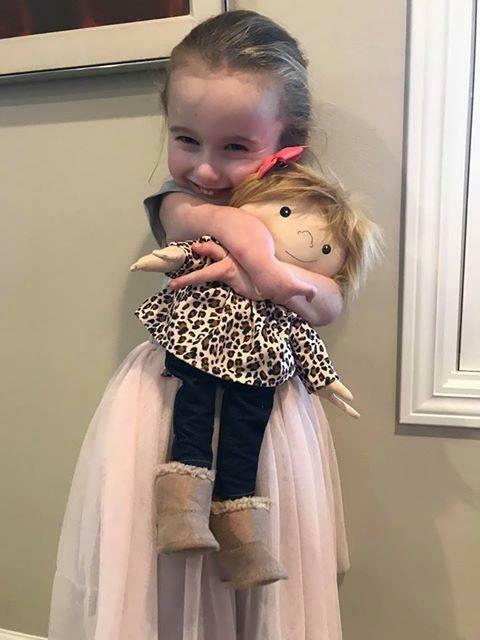 Parents who can afford the dolls pay around $100 for the creations, which allows Amy to cover the costs for those who can't. "Whatever it costs, whatever I have to do, I’m going to get a doll in the hands of these children," she writes. "This isn’t just a business. It’s the right thing to do." 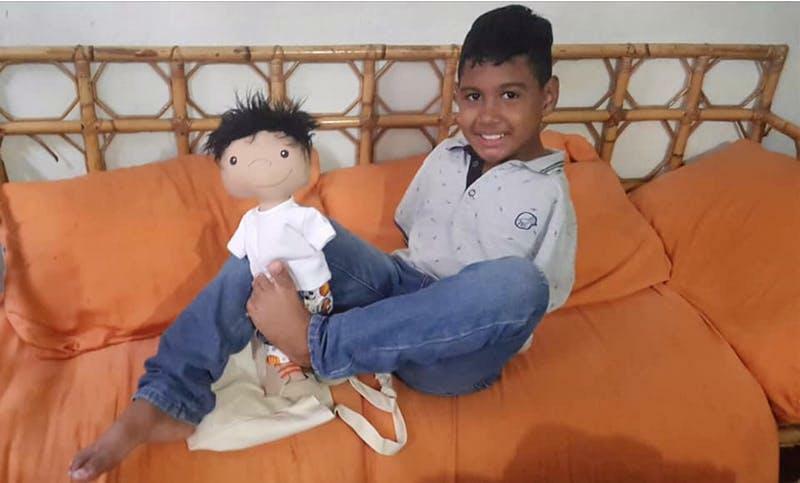 Amy is currently running a GoFundMe to get dolls to kids whose parents can't afford them, so if you want to see more happy faces like the ones below, you can check it out here. She has already raised $23,000 of her $25,000 goal. Dolls have even made it as far as Venezuela. Amy says that her ultimate goal is to have no parents have to pay for something their kids find so comforting during hard times. "If we’re going to look at mental health as a necessary part of medical care, this is key. If you want validation and play therapy, you need these dolls."